Mesa Exotics, expertly run by Mr. Don Elkins, is a carnivorous plant nursery that sells at plant shows throughout California. 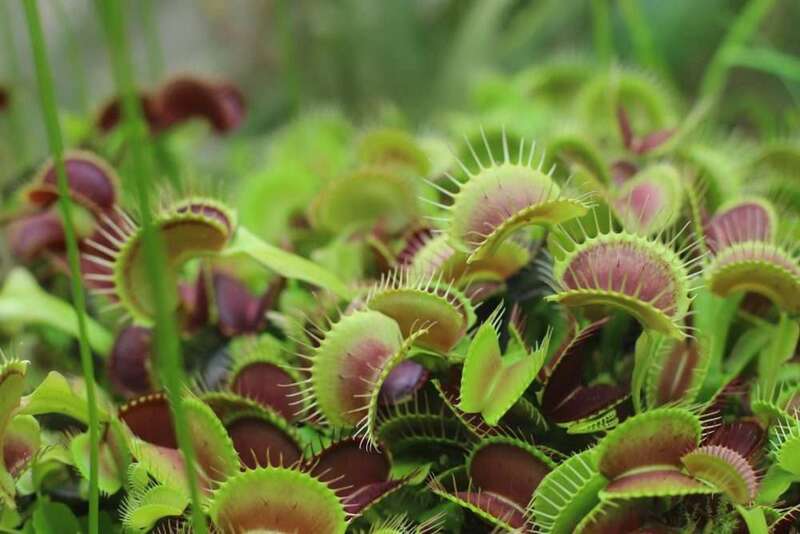 His primary focus is on Venus flytraps (Dionaea muscipula) and North American Pitcher Plants (Sarracenia). 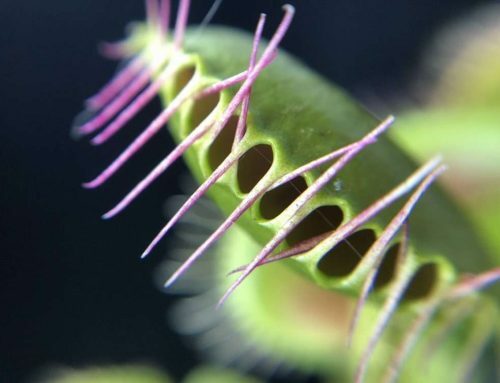 More specifically, Don is a leading seller of Dionaea muscipula King Henry, a giant cultivar that he, himself, bred into existence, and Dionaea muscipula Red Dragon, also known as Dionaea muscipula Akai Ryu, a deep all-red cultivar. He sells a wide variety of Sarracenia species and hybrids. Don has been growing for over three decades, and has a greenhouse at his nursery’s home base in Nipomo, California. We’ll be introducing “featured growers” posts in the future, and will definitely dive into more detail on Don and his carnivorous plant greenhouse! 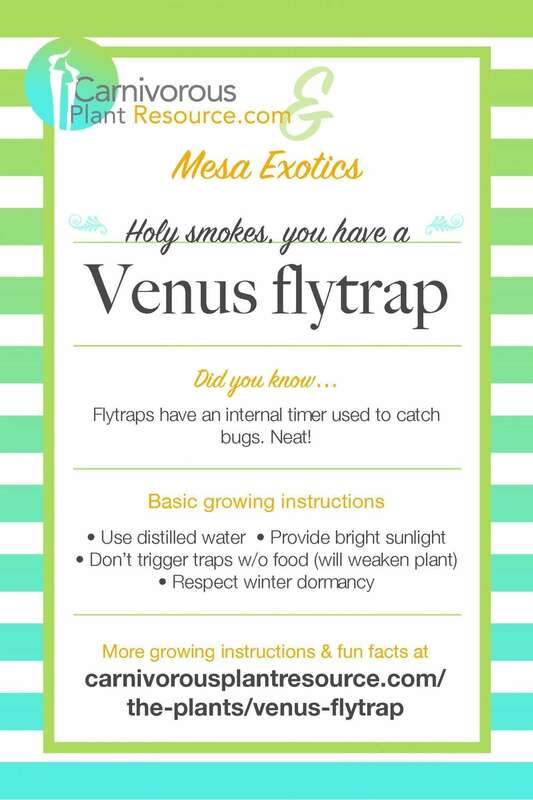 Mesa Exotics will be leveraging the Carnivorous Plant Resource’s Venus flytrap growing tips and Pitcher plant growing tips pages as a means to help new carnivorous plant growers learn the do’s-and-don’ts of plant care. 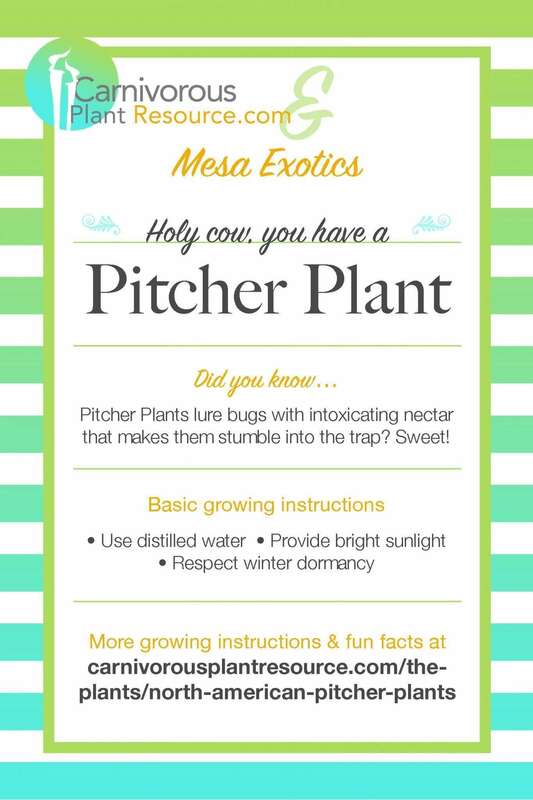 Our distilled tips to keep it simple: provide bright light, use distilled water, and respect plant dormancy! 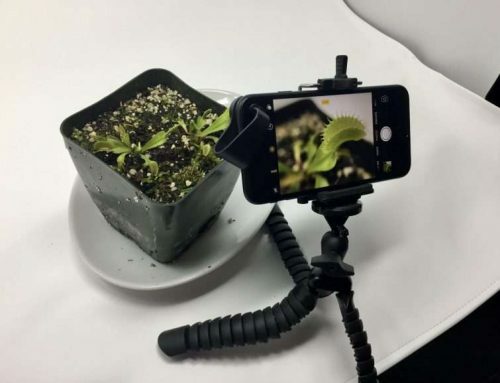 Cheers, and happy growing! My name is Esteban Melchor and I am a recreation coordinator with the City of Oxnard. We are hosting our first ever Insect Festival this year on June 1, 2019 and would like to extend an invitation to you to take part! Please let me know if you are interested or would like to know more about it and I would be thrilled to send you more information! Hi Esteban, definitely interested! Please use the contact form on the site to message me your email/phone # for additional information.